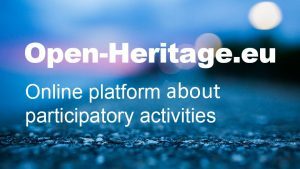 This pilot promotes participation in cultural and environmental protected areas as a way to solve conflicts between preservation, re-use, and economical activities. It focuses on Sierra Nevada (Spain), an important protected area as UNESCO Biosphere Reserve and National Park. A serious disagreement has arisen between political administrations, stakeholders, and academia on the one hand, which propose most of Sierra Nevada territory as World Heritage Site and, on the other, local communities that consider this as an external imposition with no benefits and with negative consequences for the daily life of the locals and for the conservation of its environmental and heritage values. At the same time, a new development model based on intensive agricultural production has been implemented in this territory. The pilot intends to reinforce social participation of local communities as the best strategy to manage and preserve the heritage, cultural and environmental values of these landscapes. Therefore mediation processes between the population and local agents and the institutions and administrations which are responsible for the protection and management of the heritage, environment, and the territory will be implemented. The implementation of co-governance initiatives are expected to have a direct impact on reinforcing the resilience of this heritage, increasing its capacity to face current challenges, which are directly connected to global and climate change. promote a more resilient rural CH improving local engagement and public participation in policy making, economic, cultural and social initiatives and territorial and environmental management. NEW 17, 30 March; 13, 14 April; 4, 5 May 2019, Spain. Recovery of historic irrigation channels. University of Granada will organize the campaign "recovery of historic irrigation channels". The activities will be organized with irrigators communities. 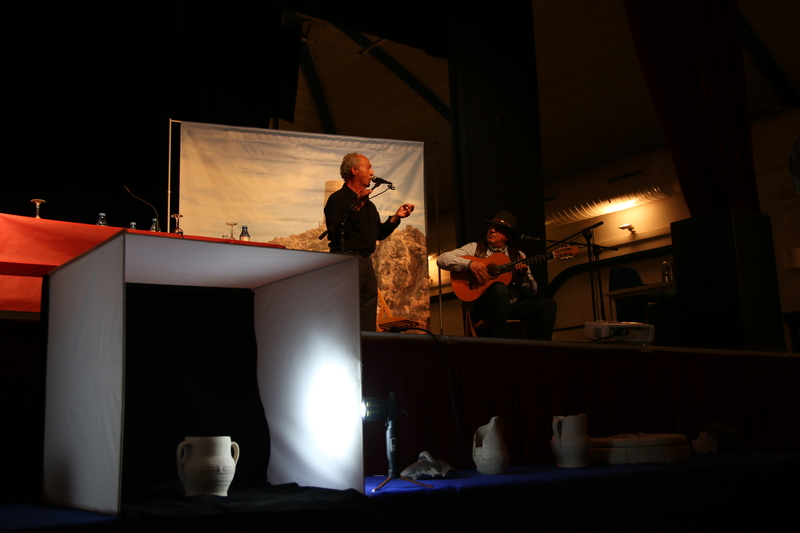 The first was on Sunday 17th on March with the collaboration of the Council of the Alhambra. 18 April 2019, Spain. "Granada La Bella" award from Oppidum Eleberis Granada. The MEMOLab laboratory received the "Granada La Bella" award from Oppidum Eleberis Granada for having contribute to the conservation of Darro Valley and its historical heritage and values, and involving volunteers in the recovery of "Romayla" and "Real de la Alhambra" medieval irrigation channels in 2017-2018 in the framework of REACH project. Read more here. 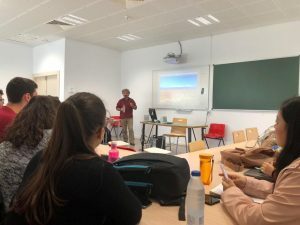 1 April 2019, Educational Activity with the High School of Mojácar (Almería), Spain. Dra. Delgado Anés talked and made a guide visit about the archaeological heritage from Mojácar to the high school students. University of Granada will organized with MUSTELA association a participatory activity based on the cleanness of Huétor Mountain Irrigation Channels. 18 October 2018, Mojacar, Spain. 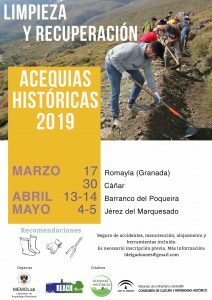 Presentation of the results in Mojacar (Almería-Spain) on the archaeological excavation and the work with local communities on the rural heritage. 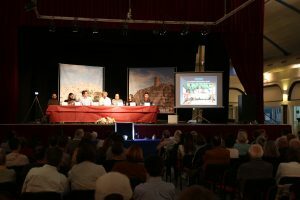 During the presentation, which was attended by over 100 people, an exhibition of photos and 3D photos of local photographers was set up on the work done in July in Mojacar and also a flamenco show was organized. The presentation was retransmitted by youtube of the Town Hall. 18 October 2018, Madrid, Spain. 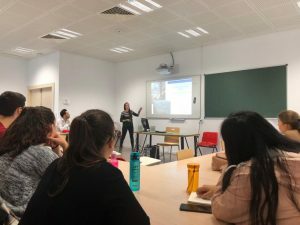 UGR at the Master's degree "Cultural Heritage in the 21st Century: Management and Research from Complutum University in Madrid"
Dr. Jose María Martín Civantos talked about Innovation and research in the cultural Heritage. Dr. Lara Delgado Anés talked about Community Archaeology , Participatory archaeology applied to Cultural Landscape. 3-6 October 2018, Provence, France. 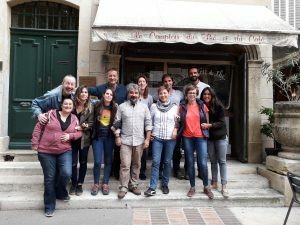 Prof. José María Martín Civantos and Dr. Lara Delgado Anés (UGR University of Granada) with the members of Regional Park, worked on proposal about activities or intervention in the field of rural heritage focused on local communities. 7 June 2018 Forum with the congressman Juanxto López de Uralde (UnidosPodemos). University of Granada presented all the problems there are about the modernisation of the Historical and Traditional Irrigation Systems. In this forum participated 19 platforms and associations. They presented the social, cultural and environmental problems there are in Granada. The 27th of May, the MEMOLab laboratory of the University of Granada will run the cleaning and the put in use of the historical irrigation channel of Romayla. Further information: Poster of the initiative, Programme. 27 May 2018, Granada, Spain. 19-20 May 2018, Jérez del Marquesado, Granada, Spain. Recovery and put in use the "Cabañuela" High Mountain Irrigation Channel (1,7km) in Jérez Del Marquesado with 10 members from the Local Irrigator Community and with the collaboration of the Town Hall and the National & Natural Park of Sierra Nevada. This irrigation channel was abandoned 15 years ago. In this activity has participated 30 volunteers and 5 members from the "Barranco Alcázar" trekking Association. The volunteers were from Spain, India, China, Colombia, Nicaragua, Brazil, Belgium. 5 May 2018, Lugros, Granada, Spain. Cleaning day of historical irrigation channels. MEMOLab laboratory of the University of Granada in cooperation with the Town Hall of Lugros and the national and Natural Park of Sierra Nevada, organized a cleaning day of the high mountain historical irrigation channels. The initiative took place in the small municipality of Lugros and in the neighboring irrigators communities of Guadix and Graena. Read more. 27-29 April 2018, Granada, Spain. Workshop on communal management of the rural areas in Spain. MEMOLab Laboratory from the University of Granada collaborated in the organization of the General Assembly of Communal initiatives. The objective was to promote the good coexistence of the neighbours, an equitable use of resources and to ensure their good status for future generations. Different stakeholders shared their own experiences in Spain about communal management of the rural areas. Read more here. Further information: poster of the event, programme of the event. 7-8 April 2018, Barranco del Poqueira, Alpujarra, Spain. Cleaning of the "Nueva" historical irrigation channel with 16 Irrigators community and with the help of 50 volunteers. 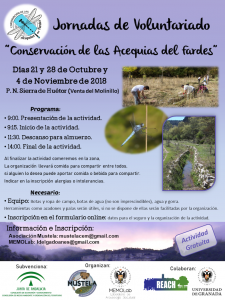 This participatory activity were organised in collaboration with "Plataforma por la recuperación del paisaje agro´ganadero del Barranco del Poquiera" Association. The volunteers came from Spain, France, Italy, UK, Turkey, Argentina, Chile and Australia. 17 February 2018, Cáñar, Granada, Spain. Annual cleaning of the medieval irrigation channel of Barjas, in the framework of pilot case on rural heritage.